Just a a few left! Do you know a really great painter? Well this is a great gift to show him (mostly his wife) how much you appreciate him. Also makes a great gift for Dad if does a lot around the house. May be personalized as you see fit. Handmade from polymer clay and designed by Debi Allison. 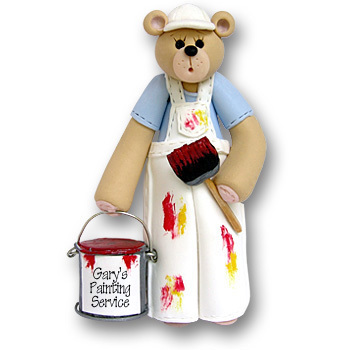 This Belly Bear Painter comes complete with a hook and satin ribbon for hanging.